Warehouse Forklift Training, Get Certification Today! 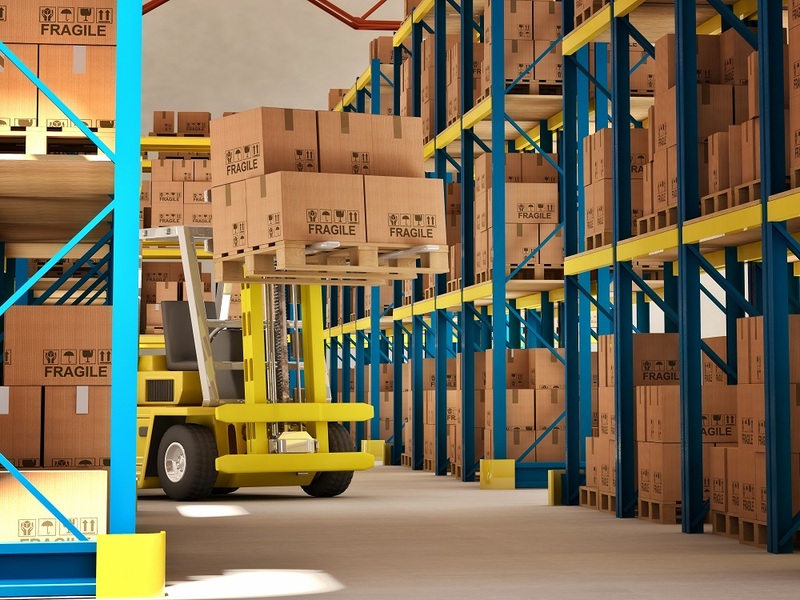 Warehouses all across the country use forklifts to manage, store, and transport cargo. Well-qualified drivers not only have the best chance to get warehouse forklift jobs – they’re also more productive on the job! CertifyMe.net provides warehouse forklift training for a variety of certification needs. If you have a brand new employee that needs certified, we can help. If you’re a veteran forklift driver that needs a better understanding of warehouse forklift operations, we’ll get you the updated training you need. Forklifts are important tools for many workplaces, but they require specific training to operate safely. The U.S. Occupational Safety & Health Administration (OSHA) requires all employers to provide training for warehouse forklifts. CertifyMe.net helps both companies and individual drivers achieve OSHA compliance – quickly, affordably, and conveniently! Register today and get the warehouse forklift training you need! Warehouse forklifts involve class 1, 4, and 5 forklifts, which are electric motor rider forklifts, internal combustion engine trucks-cushion tires, and internal combustion engine trucks-pneumatic tires. Top quality warehouse forklift training covers all of these classes to provide operators with the comprehensive training they need to prevent accidents and keep the workplace safe. CertifyMe.net offers a full training course selection for all the different classes of powered industrial trucks, including warehouse forklifts. Sign up with us today for the best OSHA compliance training programs anywhere! What Jobs Are Warehouse Forklifts Used for? Warehouse forklifts are known for their compact shapes and fume-free powering, making them ideal for navigating indoors and in tight spaces. Workers can find jobs with well-known food and beverage companies, like Coca Cola and Dr. Pepper Snapple. Clothing and technology companies also hire warehouse forklift drivers, in addition to shopping centers, museums, and breweries to name a few. Warehouse forklifts are used for a variety of loading and stacking tasks, but they are not designed for operating in narrow aisles or outside for construction. Warehouse forklifts are larger and more complex than pallet jacks which are also used in warehouses but are used to simply transport wooden pallets. Specific warehouse forklift training is needed for workers to avoid hazards and prevent accidents associated with this type of forklift. The most common accidents involved with warehouse forklifts are being hit by falling objects, tip overs, and being hit or crushed by a forklift. A lack of training or improper training, malfunctioned equipment, and poorly maintained forklifts are the most common causes of accidents. Trained workers understand the capabilities and limitations of a forklift, how to operate equipment properly, and how to recognize and avoid hazards. They are also taught the importance of effective communication between workers to prevent accidents. CertifyMe.net offers warehouse workers a convenient, 100% OSHA compliant program that is completely online. It only takes about one hour to complete and awards the student with a printable certificate immediately upon completion. The program is easy to get started and allows both English and Spanish speakers to participate. Training covers class 1, 4, and 5 warehouse forklifts, costs only $59.95 for each of the three modules and requires only a few minutes to create an account and get started. Once trainees have worked through the online modules and passed all tests and quizzes, they will complete the in-person evaluation at their workplace. Our Train A Trainer course provides employers with the qualified instructors they need for their workers to fulfill the skills evaluation, right at their own workplace and on their own schedule. If you need an onsite forklift safety expert, this is the course for you! Many companies opt for our Train a Trainer course to ensure OSHA compliance at all times! Additionally, if you have employees that operate other kinds of forklifts in addition to warehouse forklifts, you’ll need our other training courses that teach Pallet Jacks and Order Pickers Classes 2 and 3, and Rough Terrain Forklifts Class 7. Get all the training you need for your workplace, right here at CertifyMe.net. At CertifyMe.net, we pride ourselves on having the most complete, budget-friendly warehouse forklift training courses in the country. Our courses are developed by some of the most experienced forklift trainers in the industry – in any industry! Once you’re done with our warehouse forklift training sessions, you’re ready to drive a forklift for any employer in the country! Warehouse forklift training doesn’t have to be complicated or expensive. CertfiyMe.net will show you how to get OSHA compliant. If you have any warehouse forklift training questions or concerns, give our OSHA training consultants a call today at 1-888-699-4800.